Martha Berry expresses her gratitude for Nina P. Abbott's gift sent to her daughter and discusses the good work of the School. 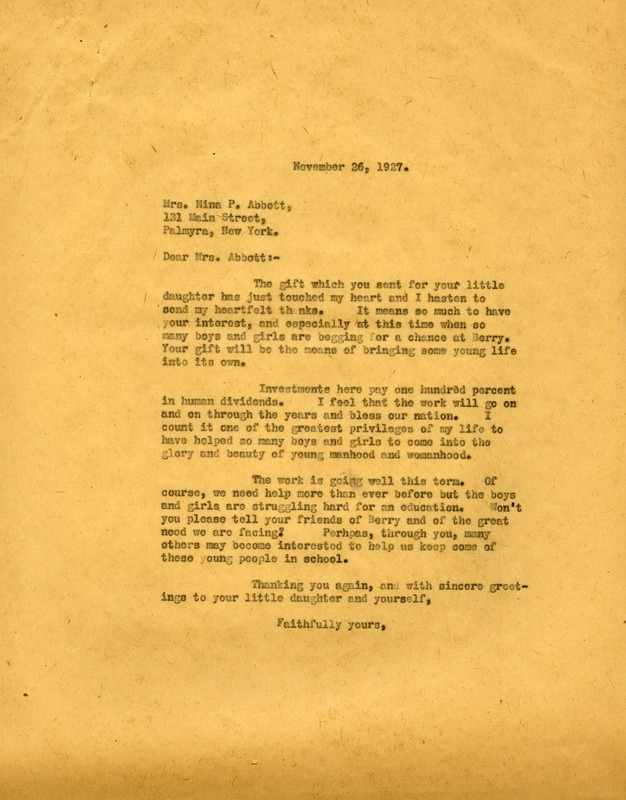 Martha Berry, “Letter to Nina P. Abbott from Martha Berry.” Martha Berry Digital Archive. Eds. Schlitz, Stephanie A., Olivia Mund, Cameron Atwood, et al. Mount Berry: Berry College, 2012. accessed April 22, 2019, https://mbda.berry.edu/items/show/6421.